By means of a pilot study, we are able to gain insight into design criteria for the sizing of a smarter mechanised agricultural system (the length and width of cultivation and lane lanes, the mechatronic properties of the machinery), whereby it becomes clear which sizing offers the best perspective on goals such as soil compaction, the minimal use of minerals and plant protection products, physical yield and efficiency for the entrepreneur. 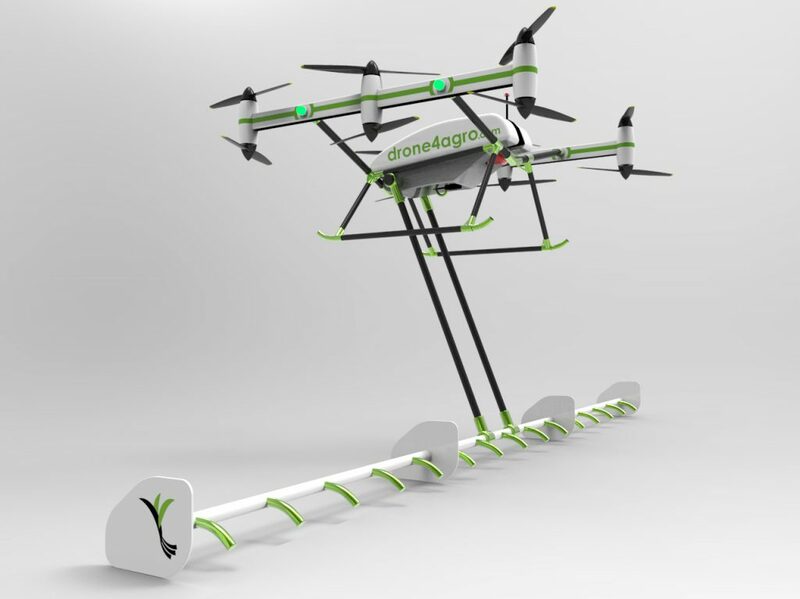 Development of a monitoring system of small autonomous vehicles for the detection of weeds, potato storage and crop diseases. This builds on an innovative image recognition concept based on machine learning technology under development in PhD research at WU-Farm Technology (Suh, 2016 and 2017). Designing autonomous mobile vehicles on the basis of a propulsion system that takes into account different weather and soil conditions and allows communication between vehicles. Translation from monitoring to real-time place-specific treatment of weeds, potato storage and diseases, for example through task maps. Improve electrical energy utilization of an autonomous vehicle through the concept of flexible battery management, whereby different battery types can be used interchangeably and integrated into a Smart Grid system at farm level. This is the Farmtronics part of the project. Development of techniques for both perennial and non-incubrious tillage techniques suitable for a ripies/strip cultivation system that avoids mixing with solidified soils in paths. 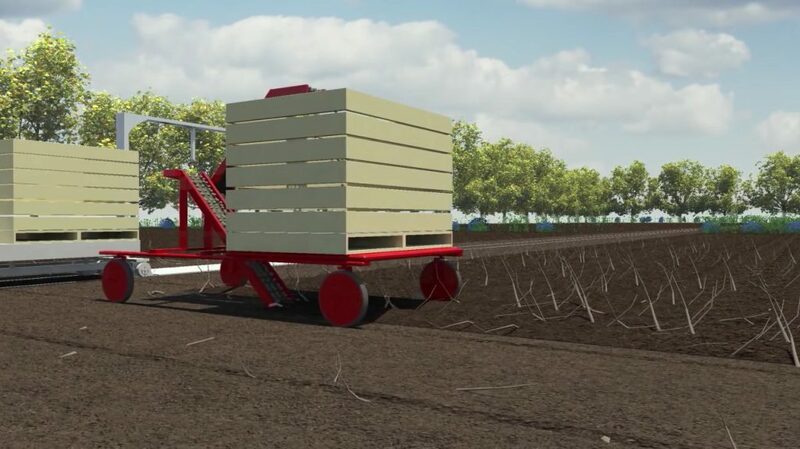 Development of a system design that allows the removal of large volumes of harvested product (e. g. sugar beet, carrots, potatoes or onions) without soil compaction through the use of multiple small-scale and autonomous machines. 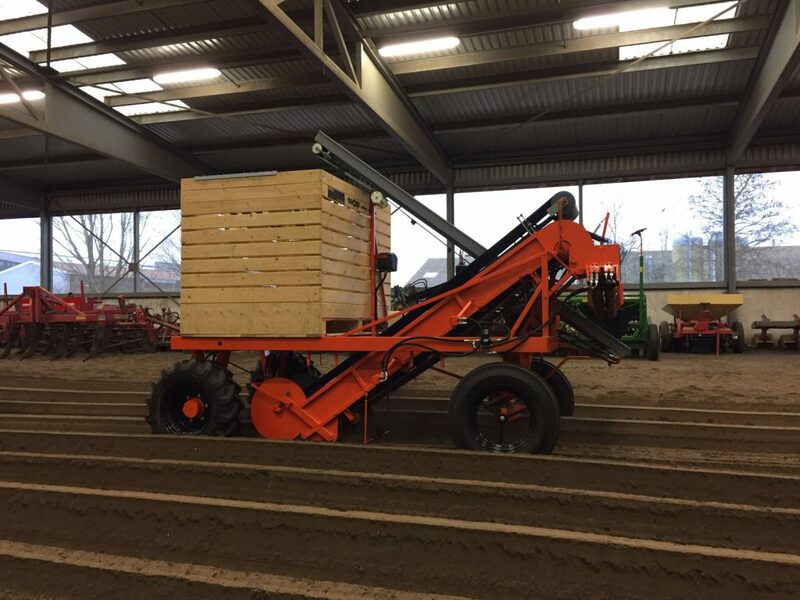 A study of Farm Technology Chair Group (Schetters, 2014) will build on the optimal sizing of mechanisation for harvesting and transporting sugar beet. Practical testing, evaluation, further development and demonstration of prototypes in a field lab.